It is safe to sat that once Autumn hits baths are everything. The evenings get darker much earlier, the air is cold and crisp and sometimes there is nothing better than driving home with your take-out Pumpkin Spiced Latte, eating a hearty dinner and running a warm, deep bath. Admittedly I do have a little bit of an obsession with bathing products and they alter depending on my mood or what I feel like I need at the time. If I want bubbles I know a Lush Bath Bomb is the way forward, if I need to de-stress I head to my Aromatherapy Associate Bath Oils stash. 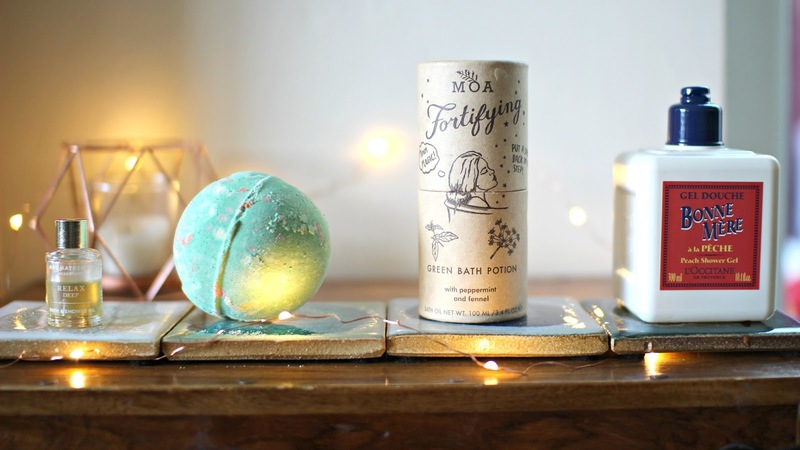 Each product has a reason and a place in my collection, I thought I would round up my top 4 Bath products for the Autumn and Winter season in hopes you find something both to indulge in and to help you through the colder months. 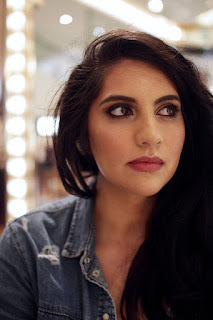 From October onwards something seems to happen and somehow we are riddled with burning eyes, runny noses and coughs that we can't seem to shake off. Speaking of the time that viral plague seems to hit with full force I have a key product that is simply unrivalled by any other. The Magic Organic Apothecary Green Bath Potion is the best when it comes to unblocking sinuses, calming muscle or joint pain and relaxing both the body and mind. It has ingredients of peppermint and fennel which are supremely beneficial for both relaxing and detoxifying. 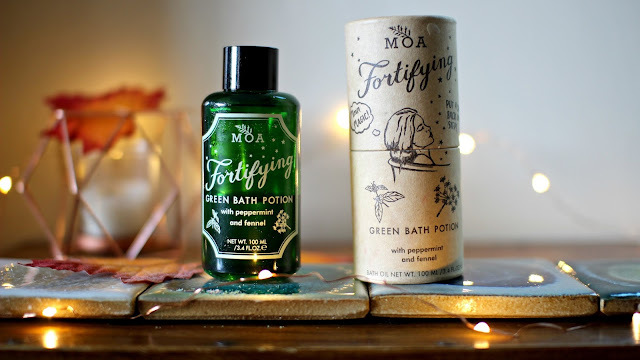 This bath potion really does pack a punch, after pouring a cap of the green coloured oil into warm running water your bath room almost becomes like a sauna filled with the most gorgeously scented steam that will unblock the stubbornest of noses. The packaging is gorgeous, the product works amazingly well, it's natural and organic and for me a must have for every bathroom cabinet. It is my hero product and one I would never be without. If I could only bathe in one product for the rest of my life, it would be this. It's a deliciously scented bath bomb that personifies mulled wine and all things warm and spicy making it perfect for this time of the year. 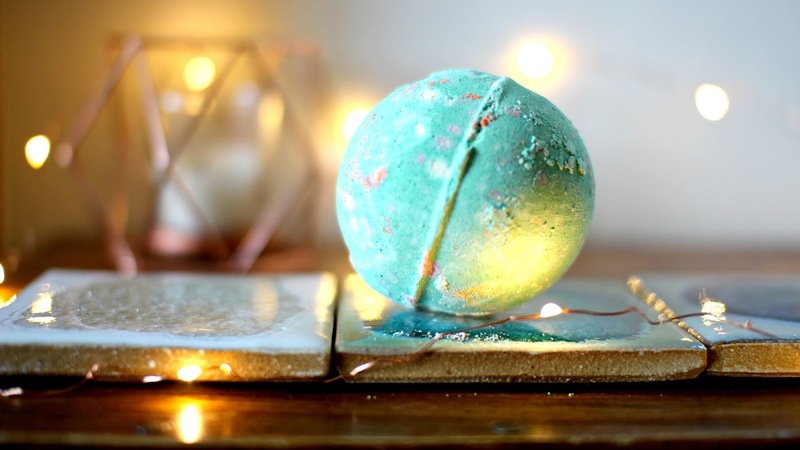 Almost galactic when it hits water, this fizzy sphere of misery turns the bath into a celestial light show and immerses you in rich scents that satisfy the senses and warms the heart. 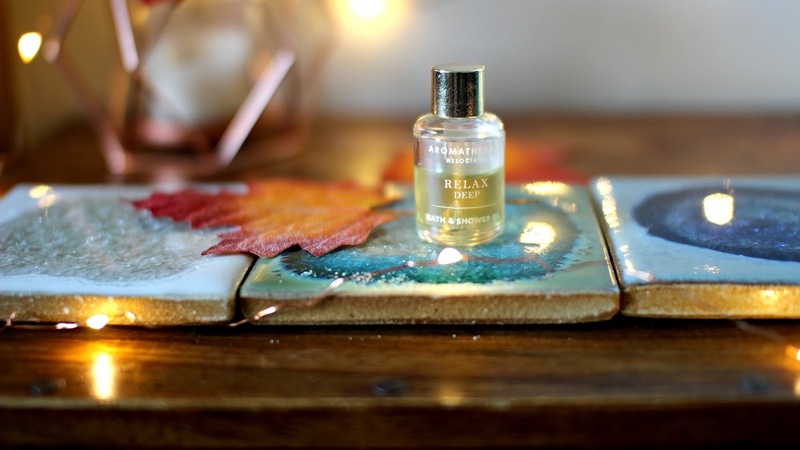 When I am in deep need of a relax or I need a bit of a pamper I opt for an Aromatherapy Associate Oil I have about 20 of these minis thats came in a christmas gift set, they last a really long time as you only need one to two caps per bath. I also have a couple of the full sizes and they are amongst the best bath oils out there. Each oil has a purpose, whether it's a relaxing oil, one that improves your equilibrium, or perhaps provide you with a much needed hit of Inner Strength. These oils can be used both as a bath and a shower oil. They are around £45 for 55ml which may seem a tad pricey but they really do work and they last a surprisingly long time, especially if you only use them when you are in need of a little luxury. My last choice is what I like to call an 'all rounder' a simple bubble bath that gives me bubbles, doubles up as a shower gel, is gorgeously scented and leaves my skin feeling soft and hydrated. 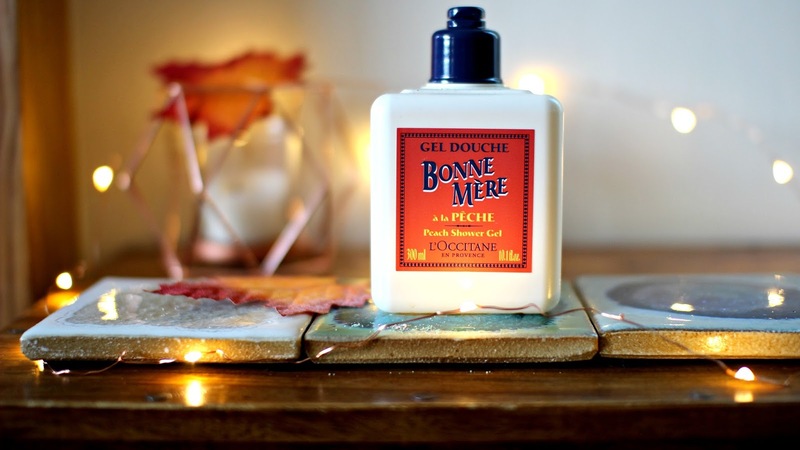 The L'occitane Bonne Mere a la Peche, this is a peach scented shower gel which I use as a bubble bath. It is a lovely choice for a bath at any time of year, it's a soft, creamy texture that lathers up wonderfully and the scent of peach is very authentic and lingers on the skin for hours and hours. 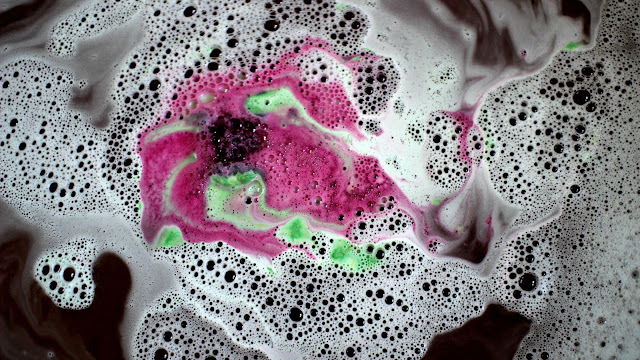 It produces a good amount of bubbles, is great to shave with as it hydrates, cares for and nourishes the skin. It has no bells or whistles but it really is a gorgeous option for when you just want a bath, with bubbles and a light refreshing scent. 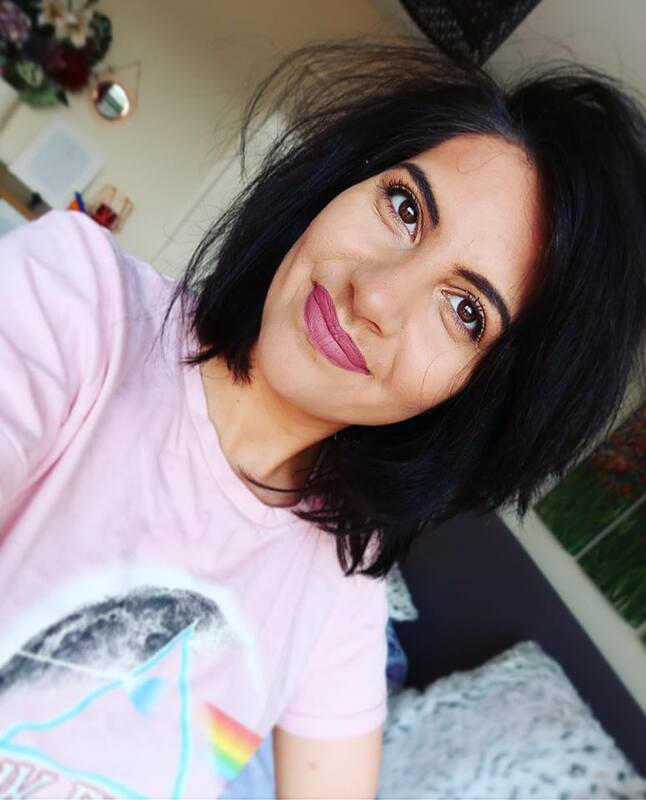 Hope you enjoyed hearing about a few of my go-to bath products, feel free to share any favourites you have below.